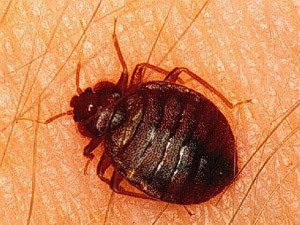 To understand about textile pest control Devon, here is a little information regarding Textile pests, which include fleas, moths, and many beetle species that feed on the natural protein 'Keratin'. This can be found in any textile of animal origin including wool, silk, animal hair, leather and feathers. It is not just everyday items like clothing, upholstered furniture or woolen carpets which are at risk. Collections of valuable textile items such as oriental and fine rugs, soft furnishings and natural fibre carpets can all be at risk from an infestation. 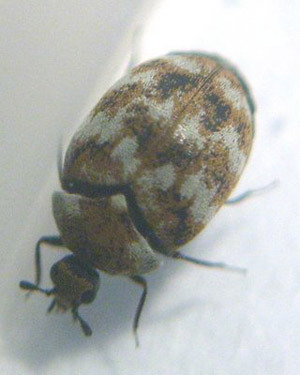 Although there are several types of carpet beetle the most common is the varied carpet beetle. It is the larval stage of the beetle's life cycle which causes the most damage to carpets by feeding on any natural fibres within the carpet. The female beetle lay around 35-100 eggs in batches. The beetles in their larvae stage are sometimes called 'woolly bears' due to bristles which can be seen around the edge of the body. The larvae (woolly bears) emerge from the eggs and start feeding. The larvae are repelled by the light and as a result cause deep burrowing into their food which is carpets. 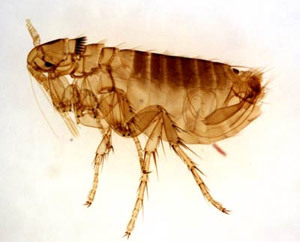 Adult fleas are external parasites of warm blooded animals and birds. They are extremely well adapted to living in the hair and fur of their host. Fleas are famous for their ability to jump much higher than their size suggests. In my experience the most common flea is the cat flea, it is a very common pest and will target most warm blooded animals. Flea infestations are best left to professionals, we get many calls from people who have spent lots of money trying to deal with a flea infestation only to give up. Often we charge less than they have already spent! It is important stress that any textile moth is not a health risk to humans. The problems associated to them are purely in the textiles they seek to live in. Despite not being a health risk, it is however important to get swift treatment. Prolonged infestation can cause serious and irreversible damage to clothes, carpets, fabrics and even leather. 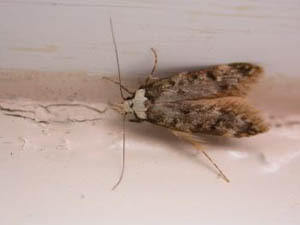 If there is a serious infestation of textile moths, a residual spray and fogging are the only options. The nature of the Moth’s lifespan means it is necessary to spray the whole property to ensure that your pest problem does not resurface. Infested rooms may have bugs under wallpaper or in crevices in the furniture and joinery. They generally emerge to feed at night and their bite can cause severe local irritation. They also produce a characteristic unpleasant smell. Here at Elite carpet and upholstery cleaning, our technicians are T.I.P.C trained and qualified. We do not use the simple additive to the fresh water tank as they simply arent up to the task. we use a commercial strength insecticide to eradicate infestations. The process is quite straight forward, our technician will first assess the property, looking for any signs of damage caused by the pests and also any nests. Once this is carried out, we would discuss the findings with the client. If a pest infestation is confirmed, our technician would get ready to carry out fumigation wearing full PPE, (white boiler suit, gloves, mask, goggles). He would then mix the appropriate amount of solution to give a good covering. clients would at this point be asked to leave the property for up to 4 hours. The technician would then begin spraying all fabric surfaces, beds, floors, curtains and soft furnishings. Also any areas likely to allow nests to be built (cracks/crevices. skirting boards, between joins of laminate flooring etc). Once spraying is complete, the property would be closed up while our technician stays outside to prevent anyone from accessing while the solution is working. once a period of time has passed, he will enter the property and aeriate by opening windows, doors etc. The client would then be informed of the findings during spraying and also any questions would be answered.